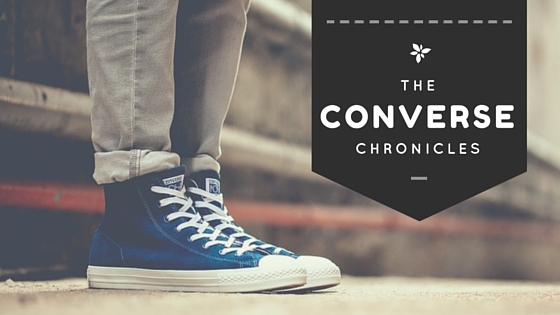 Everybody loves a pair of funky and stylish Converse sneakers. Almost everyone, be it a kid, college student or working professional, has used a pair of Converse for years (even till the time it gets completely worn out. Sentiments, you know). For a brand that started off as a rubber shoe company in 1908 and eventually turned to making sneakers, Converse has certainly come a long way and has a very special place in the heart of every sneaker head. It was in 1920 that the All Star range came into existence, and since then, there was no looking back. Their philosophy of making a pair of Converse sneaker an integral part of an individual's life is both unique and special. After all, we all love a good pair of shoes, don't we? You can play, live and run around the world in them. And when you get them customised, they become a part of you. Because, they are made by you. The ‘Made By You’ campaign is a first of its kind, that will allow Converse loyalists to interact with the brand in a big way. The Chuck Taylor All Star series proves that the Chuck is not just a sneaker, but an idea. Every new pair carries a powerful message. Your Converse sneakers becomes a blank canvas that is waiting to be filled. The customised pair becomes unique celebration of your unique and true personality. 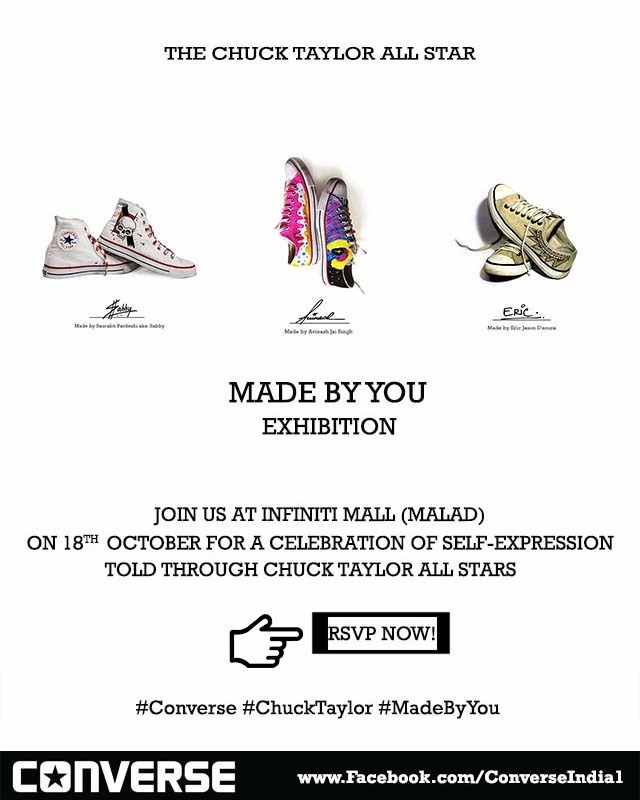 Taking the popular legacy forward and to celebrate the ‘Made By You’ story, Converse Inc will be anchoring the 1st ‘Made By You’ exhibition in Mumbai and it's happening at Infiniti Mall, Malad. The exhibition urges Converse fans and true sneaker heads to get their oldest pair of Converse (that best defines them) to the exhibit and become a part of the ‘Made By You’ international story. In addition, you also get your own ‘Made By You’ portrait. But the most exciting part of the campaign has to be the customisation process! The campaign would involve the brand offering its consumers an exclusive opportunity to add their unique personality to a pair of Converse sneakers, extending the experience of 'Made By You'. A graffiti artist will assist guests in customising their pair of old sneakers or a newly purchased sneaker, using a wide variety of stencils and spray paints, creating a sneaker which will be unique to them and will carry forward the campaign of 'Made By You'. That's not all! There are several celebrities who also swear by their pair of Converse and some of them will be sharing stories of their favourite pair at the do. Some of the prominent Indian faces include VJ Rannvijay Singha, singer Anushka Manchanda, who will be present at the exhibition. So come, be a part of this fun and memorable Converse 'Made By You' celebration and share your sneaker loving story with us, all day at the Infiniti Mall (Malad) on October 18 (tomorrow). PS: If you are dropping in anytime around 3 - 4 pm, Team Dancebee and I will be around to indulge in some sneaker customisation. Do drop by, join the fun and say Hello. Enjoy the sneakerlicious weekend!